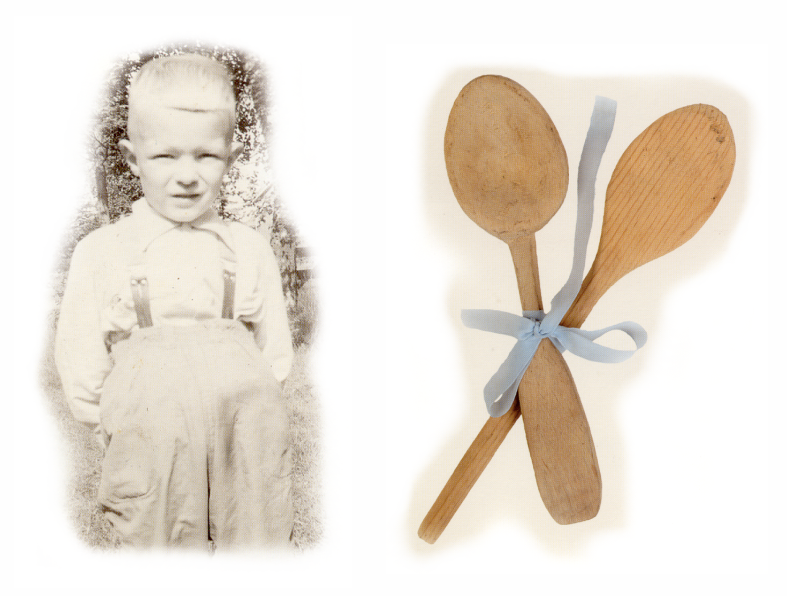 Little boy - only six years old - in knickerbockers and two self-made wooden spoons. He would like to buy a horse of his own and was in need of money. So he just got an idea to carve wooden spoons and sell them in the neighbourhood. These spoons, the first ones, the mother had bound together with a silk ribbon and decided to give them, at a convenient time, back to his son. She made it on his 40th birthday. Later, in 1978, Sakari Rintamäki established a company, Johan Oy, for producing wooden products - but he did not at all remember having made it already earlier! Today, Johan Oy Collection has been succesfully set both on the Finnish and the international market: an original, wooden giftware always means a Personal Touch - warm greeting from You to Her or Him!